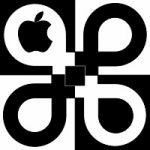 This is a new series presented by the Apple User Group Advisory Board to spotlight and share the experiences of Apple User Groups around the world. We will take a look at how groups are managing, meeting, growing, networking, and adjusting to the needs of members in the 21st century. This month we share the story of Apple Users Society of Melbourne, better know as AUSOM. We traveled (virtually) around the world to find out the story of how AUSOM has been so successful. We had the opportunity to participate in a FaceTime meeting with the group’s members and leaders at their monthly meeting. What is amazing, is this group is in its 40th year, and the group appears to be going strong. In a day and age where social media, texting, and technology has become the mainstream communication method, this group has proven that in-person social interaction, networking and sharing creates true and long lasting friendship. And to that end, the sustainability of AUSOM. As one of their members stated, “It’s not about the computers, but what we do with them.” Let’s take a look at what makes this group so successful. The groups started in 1978 with a small group of Apple enthusiasts wanting to share information on the Apple II. The group emerged from the Micro Computer Club of Melbourne, and in 1980 decided it was time to break away and Apple Users Society of Melborune was formed. Eventually the group became an incorporated non-profit in Australia. Forty years later, AUSOM has continued to serve as a premier Apple User Group. In the early years of the internet, Bulletin Boards emerged as a way for people to communicate online. AUSOM saw this as an important tool and started one in the mid 1980s. Through time, this has been a invaluable tool to their members, and they have continued to offer this service on their website to members using Open Text’s FirstClass. This serves as an online support forum for over 250 members of their group. Beyond the FirstClass support for members, AUSOM maintains a consistently updated website with news, tips, and meeting information. The site offers information for the general public, as well as member only areas. But as technology progresses, AUSOM has moved beyond their website and have become active social media posting on Twitter and Facebook to keep people engaged with current and related Apple and technology news relevant to the group and its members. If there is information to share with its members, AUSOM has found a way to keep its members in touch. Many Apple User Groups create printed newsletters for its members. AUSOM was no different. Since the early 1980s, AUSOM has been producing a newsletter. Currently their monthly newsletter is about a 50 page printed magazine with an online PDF version available to its members. The newsletter contains information about the group, meeting and special interest group information, Apple and third party hardware and software tips, how-to, and tutorials. This is an amazing newsletter with lots of useful information. And what is a newsletter without an AUSOM technology-based crossword puzzle? What is an Apple Use Group without some kind of meeting? Can’t make the monthly meeting? Thats okay, AUSOM has other opportunities and Special Interest Group (SIGs) you can attend. Besides a “Main” monthly meeting, AUSOM partners with Melbourne PC User Group to hold an “Everything Apple” Meeting, as well as mid week monthly meeting for “Retirees and Others.” In 2010 the group expanded to surrounding location around Melbourne and formed the AUSOM Mornington Group which holds monthly meetings. The SIGs currently cover a variety of Apple macOS and iOS topics, with about 15 types of topics. One of the things that stood out about AUSOM, was a unique service they offer to its members. It’s called AUSOM One-on-One. 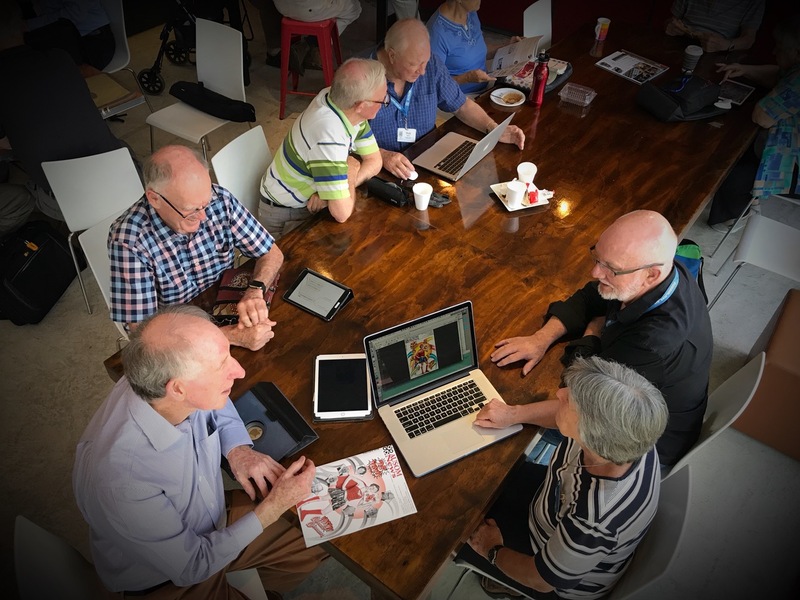 As part of the group’s paid membership, members can schedule a time at a meeting to sit with an experienced volunteer to help resolve technological issues they may be having. The sessions are scheduled 1 hour blocks, but may take as little as 10-15 minutes to help you resolve your issues. Appointments must be scheduled in advance and prior to the monthly meeting. This is an amazing service as sometimes an individual’s questions may be too specific or not able to be answered at a general meeting open question time. The heart of every Apple User Group is its leadership. This group has maintained its success by recruiting many of its general members into leadership positions. One of the members shared how he now leads the groups iMovie SIG after learning from others in the group how to use the application, and eventually being able to share his skills with other members. The strength of the group’s leadership appears to return to the foundation of their success: the relationships and friendships created from the group’s various in-person interactions. It was great experience to interact with the AUSOM group. The programs they offer in-person, online, and print media are amazing. The group did address some challenges, such as how to attract youth to their groups and how to have a better experience with Apple stores. Those are issues many groups are addressing today, and it is an ongoing development. But the core of AUSOM’s success is from the personal interactions and friendship the groups is able to create.